Each room within this house was touched from the ground to each individually chosen fixture. 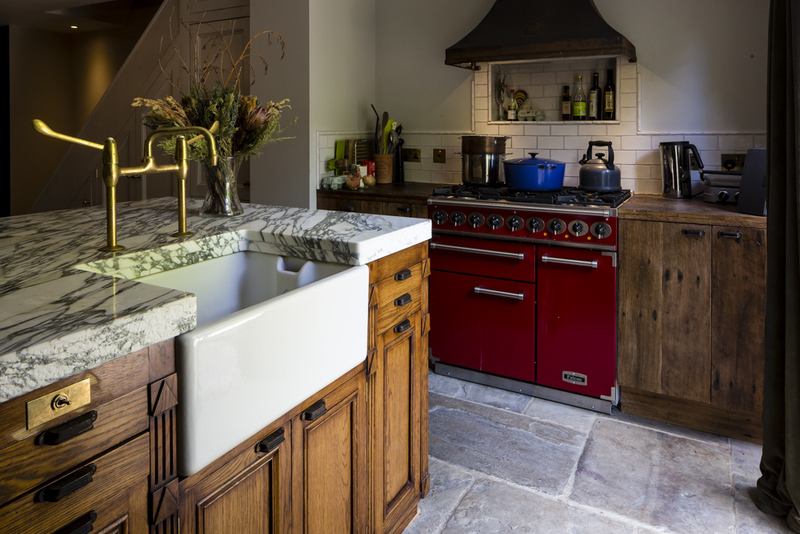 The home was stripped down and from the ground up we started to build from underfloor heating throughout, reclaimed floorboards, imported tiles, and restoring the natural character of the building. Both washrooms and kitchen were entirety refit to create an effortless feel throughout the house. Shelving, staircases, wardrobes are all-handcrafted. We worked very closely with our interior designer to create an effortless flow throughout the home.